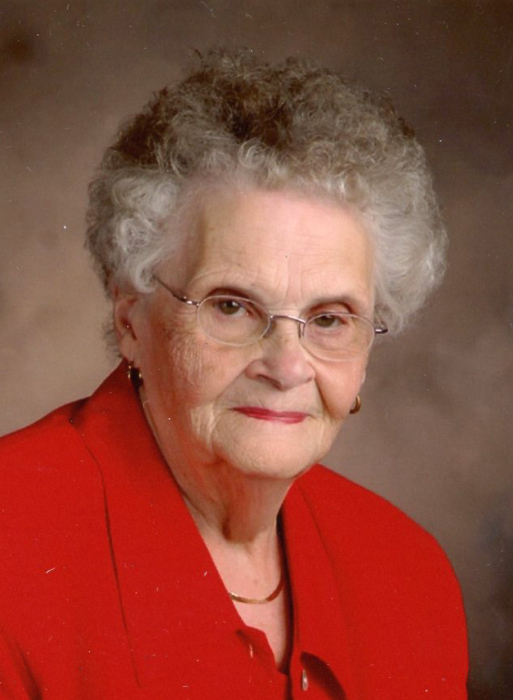 Muriel L. VanDam, 93, of Dell Rapids passed away on Sunday, February 4, 2018 at the Dells Nursing and Rehab Center. Her Mass of Christian Burial will begin at 10:30 a.m. on Monday, February 19, 2018 in St. Joseph the Workman Catholic Church at Huntimer. Visitation on Sunday, February 18, 2018 will be from 2:00 - 4:00 p.m. with a Christian Wake Service at 4:00 p.m. in the church. Muriel L. Park was born on July 5, 1924 in the Colman area. She grew up in the Chester area and attended school in Chester. She graduated from Chester High School in 1942. She attended beauty school and was a beautician in Dell Rapids and Madison. She married William “Bill” VanDam on June 5, 1946 at St. Joseph the Workman Catholic Church at Huntimer. The couple made their home on a farm near Chester until moving into Dell Rapids in 2000. Bill passed away on January 20, 2009. Muriel was a member of St. Joseph the Workman Catholic Church and Altar Society. Muriel was preceded in death by two sisters, Avis Klamm and Marge Myhres; a son-in-law, Dale Huntimer and a daughter-in-law, JoAnn VanDam. She is survived by her two sons, Dennis (Shirley) of Colman and David of Chester; her six daughters, Dianne (Darrold) Williams of Dell Rapids, Linda Nelson of Dell Rapids, Nancy (David) Sheridan of Harpers Ferry, IA, Leanne (Gale) Swier of Madison, Beth (Charles) Buchheim of Chester and Joan (Bob) Van Liere of Wentworth; her 16 grandchildren and 23 great-grandchildren; brothers, Henry Park Jr. of Chester and Jim (Betty) Park of Colman; her sister, MaryAnn (Darrell) Sorenson of Omaha, NE and her many friends and extended family.